In case the term hasn’t crossed your radar before (and why would it?) halftone is the technique of printing images composed of dots. Used in newspapers, photographs are broken down into different sized dots to replicate the image in print. It’s a technique that’s also been used to screen print photographic images, most famously by Andy Warhol which is why it’s become synonymous with pop art. The look of halftones is also reminiscent of comic books and Roy Lichtenstein even though they use a different technique known as Ben Day dots. 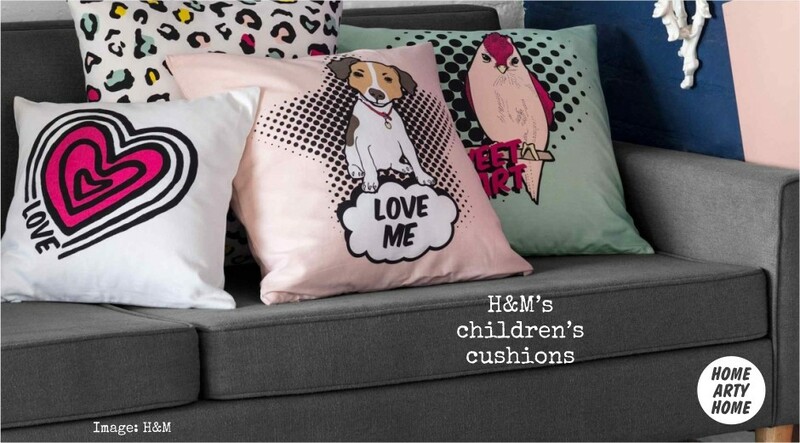 As shocking as the pop artists of the 1950s and ’60s were, the passing of time has seen pop art firmly embraced to the point that it’s never been easier to make your home pop with striking art and accessories. 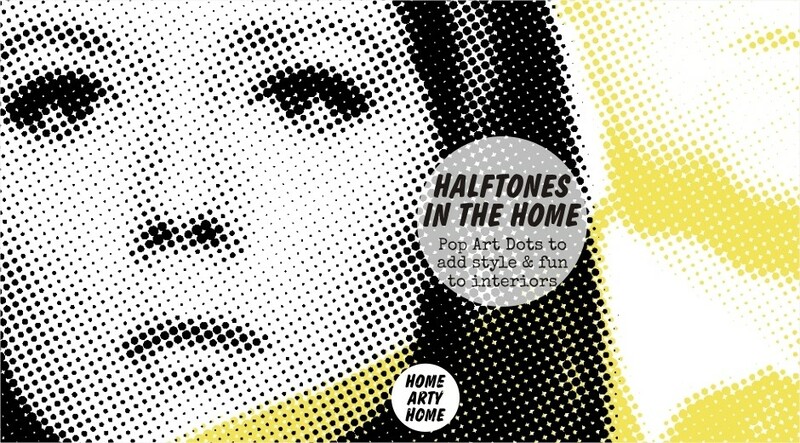 Halftone dots are having a real moment right now with independent artists using the technique as well as household brands, and even a “reality” TV show. 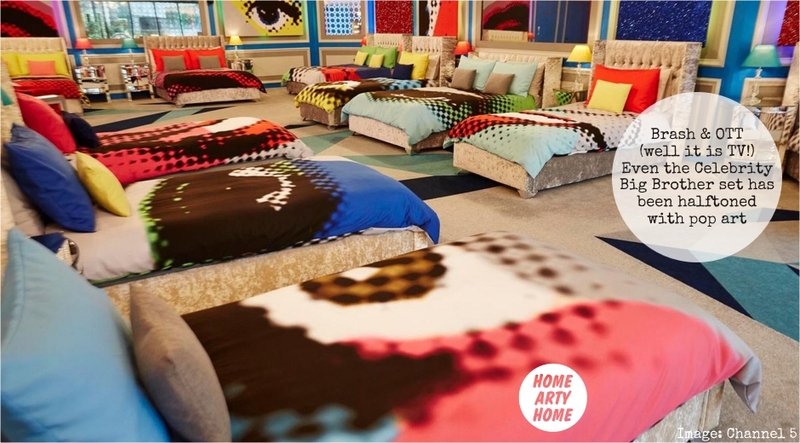 Celebrity Big Brother has plastered their latest iteration of the communal bedroom in halftone dots, including the bedlinen and walls, and, whilst colourful and bright for a TV show, Home Arty Home does not recommend taking this approach at home! The pop art renderings of the “celebrities” on the bedroom wall are childlike (there are better sources to create bespoke pop art portraits) and the colour palette is completely unrestrained – but this is Big Brother, never really known for it’s subtlety, and the set wants to shout as loudly as the housemates. It isn’t a spa, after all, so a restrained interior wouldn’t be conducive to confrontation. 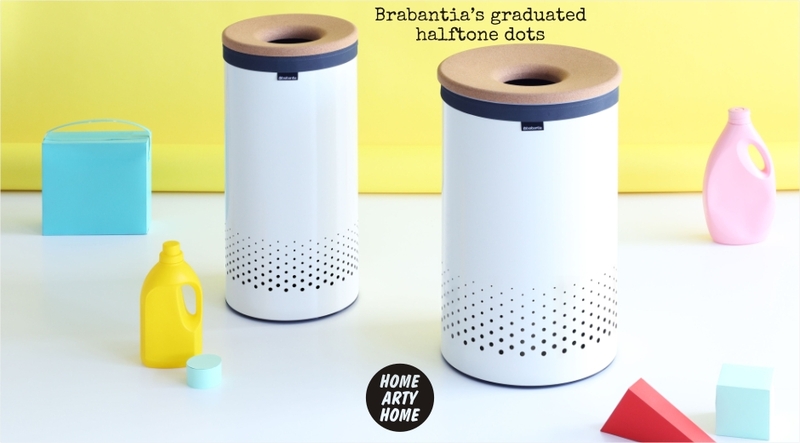 There are subtle ways to bring halftone dots into the home, such as the graduated design on Brabantia’s laundry bins, and there are fun ways suitable for children like the range of cushions by H&M available soon, or the paper cups from John Lewis. 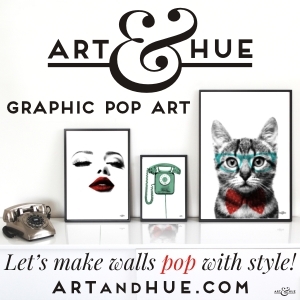 For a more authentic approach, there are reproduction of Andy Warhol’s screen prints featuring Jackie Kennedy or Marilyn Monroe, or there’s the modern spin from contemporary artists Ben Allen and Art & Hue, who adapt pop art tropes, including dots, to create a modern take in their work.